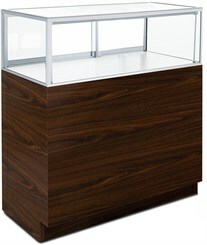 Ideal for a retail environment, our Merchandise Display cases offer high visibility yet restrict access. These well-made store fixtures are constructed of aluminum framing and are accented with a durable laminate base. 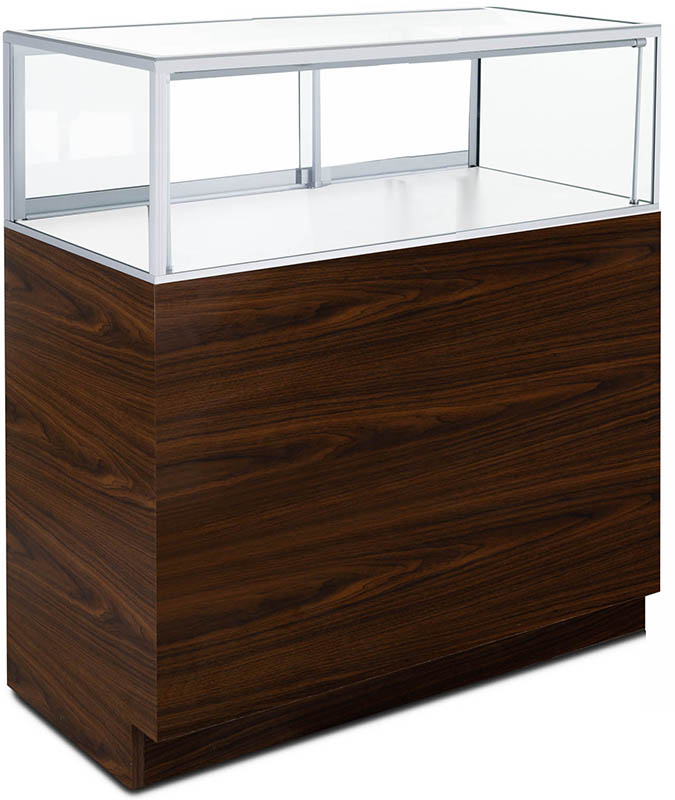 These showcases provide ample space for your display. 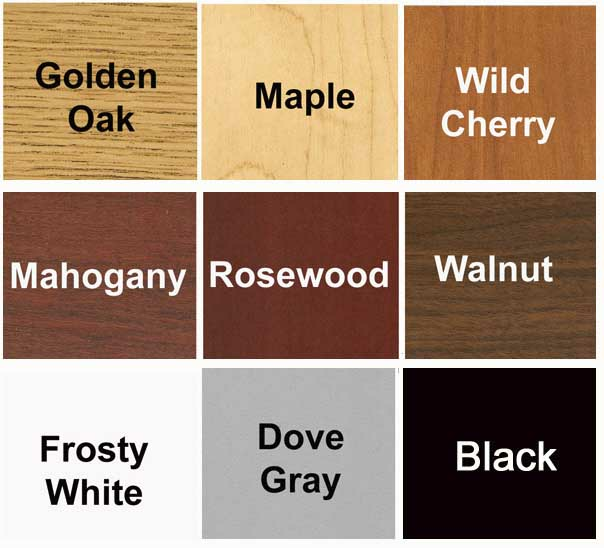 Gives you the look of custom store fixtures at a fraction of the cost. Shpg. wt. 217 lbs. Ships fully assembled! PRICE INCLUDES SHIPPING! (Truck shipment - See Terms & Conditions). Please allow 4-5 weeks for delivery. 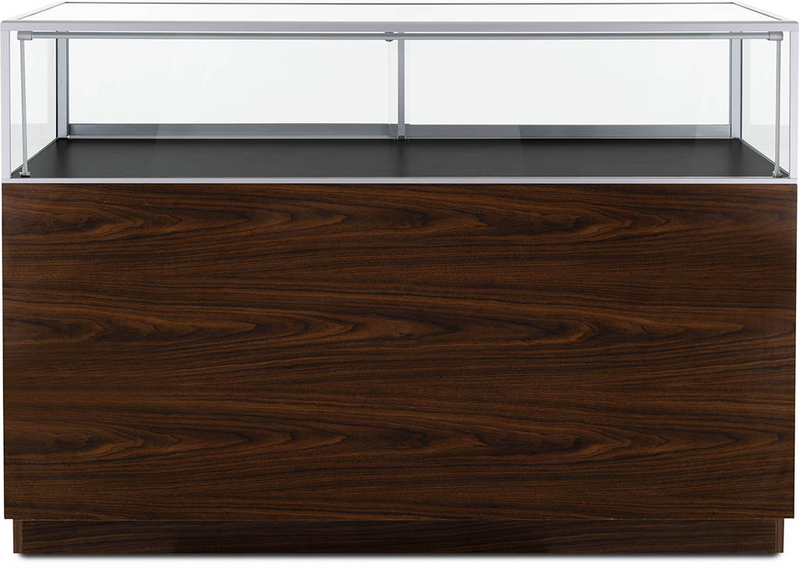 3' Width Full-View Counter Merchandise Display Case sold above. See other sizes sold below. 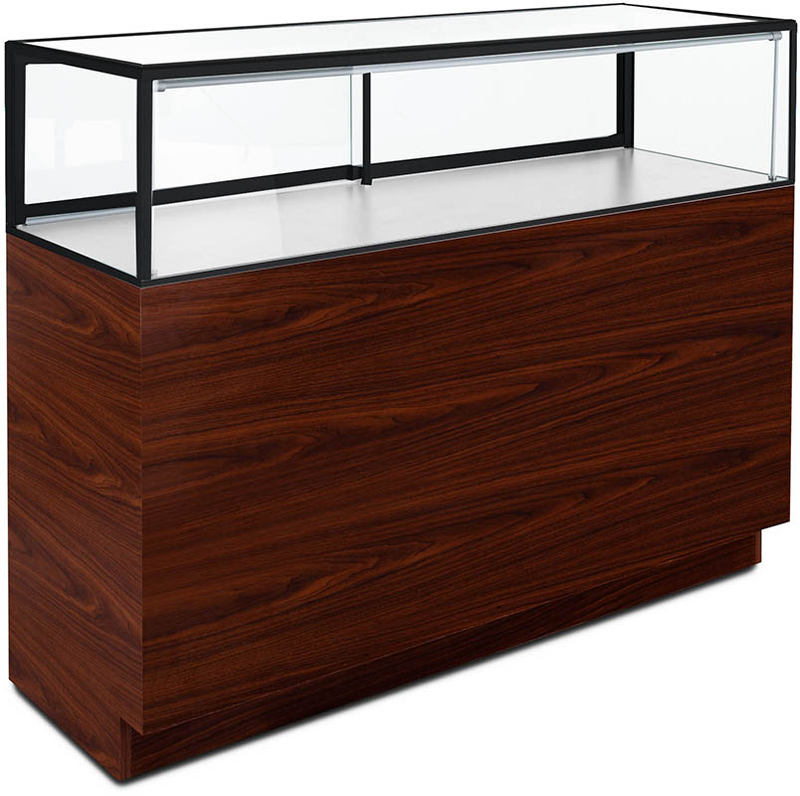 * Bottom pedestal measures 36"W x 20"D x 30"H.
Just like display case above but in a 4' width. Measures 48"W x 20"D x 42"H overall. Ships assembled. Shpg. wt. 275 lbs. PRICE INCLUDES SHIPPING! (Truck shipment - See Terms & Conditions). 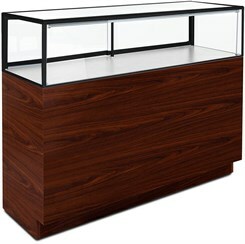 Just like display case above but in a 5' width. 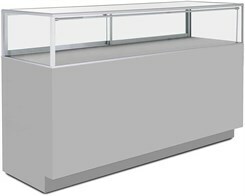 Measures 60"W x 20"D x 42"H overall. Ships assembled. Shpg. wt. 344 lbs. PRICE INCLUDES SHIPPING! (Truck shipment - See Terms & Conditions). 1 - 2 $3,199.00 ea. 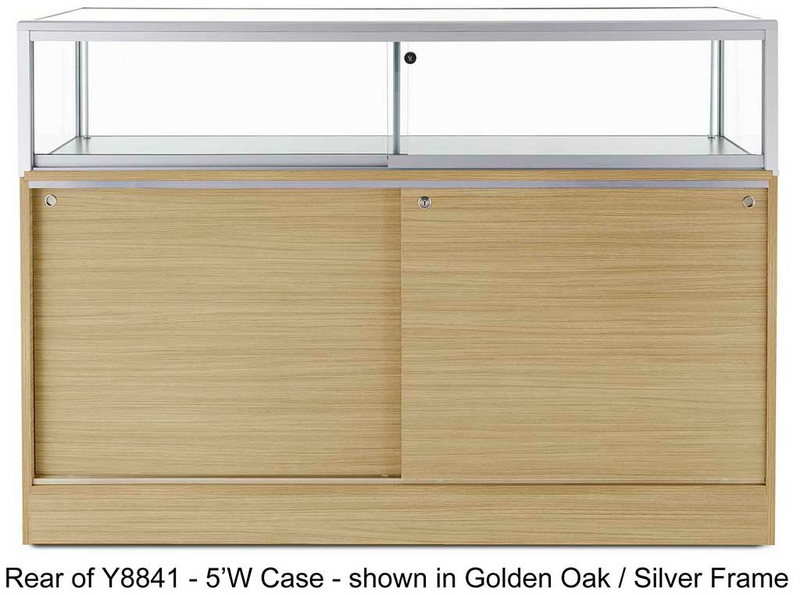 Just like display case above but in a 6' width. 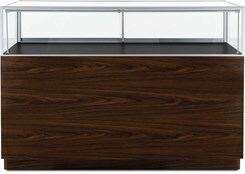 Measures 72"W x 20"D x 42"H overall. Ships assembled. Shpg. wt. 413 lbs. PRICE INCLUDES SHIPPING! (Truck shipment - See Terms & Conditions).